Waterfront West is an advertising service that allows property owners, real estate agents and/or developers to advertise their property on the Internet. The seller, property owner and/or service provider have supplied all property information and/or advertising information for services on this Site. 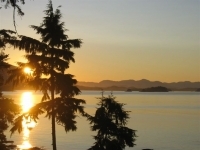 Waterfront West makes no representations, warranties or guarantees, express or implied, regarding the accuracy, correctness, or completeness of such information. Waterfront West and its owners, employees and sub-contractors do not assume any responsibility for errors, omissions and/or misrepresentations of properties or services in the advertisements on this Internet site. It is the sole responsibility of the potential buyer to ascertain the validity of each property. 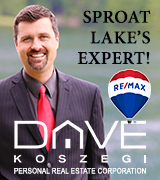 You are responsible for conducting your own investigation regarding any and all claims made by property sellers and/or service providers advertising on www.waterfrontwest.com and/or www.waterfrontwest.ca. You assume all liability for use of any information you find on the Waterfront West Web site. Information on this Internet site should not be regarded as a substitute for professional, legal, financial or real estate advice. 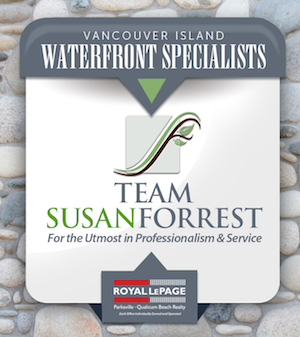 Waterfront West is not rendering legal, financial, accounting or other professional advice. Waterfront West advises potential buyers to evaluate the accuracy of each property’s advertised details and current condition, and to consult a lawyer or notary public before signing any documents. All information on these pages is offered with the understanding that Waterfront West is strictly a promotional service. Any reliance or action taken on the information, materials and techniques on this Web Site or any printed publication, are the sole responsibility of the User. Waterfront West and its related entities responsible for maintaining this Internet Site, as well as its owners, employees and sub-contractors believe that all information contained within this Internet Web Site is correct; however, no warranty is made as to the accuracy or reliability of the information contained herein. Waterfront West, its owners, employees subcontractors and/or and its Web Site content contributors disclaim all liability and responsibility for any direct or indirect loss or damage which may be suffered by any recipient through relying on anything contained in or omitted from the Internet Sites at www.waterfrontwest.com and www.waterfrontwest.ca. Waterfront West does not endorse, sponsor, nor recommend any developer, real estate agent, broker, service provider or private seller who advertises real estate or offers services through this Site. We do not and cannot warrant that any Realtor, broker, developer or service provider who advertises on our site is licensed, capable or qualified of performing any service they advertise. We also do not make any assurance regarding the timeliness or accuracy or the advertisements on this Site or guarantee the accuracy of any further communications with advertisers on our site. Furthermore, we make our best attempt to collect accurate statistical information regarding the real estate market, but make no assurance of the accuracy of information provided by outside sources. Users are required to make their own judgment and decisions regarding the merits of any individual, business or service advertised or represented on the Site or by Waterfront West. Waterfront West reserves the right to edit advertisements as we see fit and to refuse any advertisement for any reason at our own discretion. Waterfront West reserves the right to remove an advertisement if the property and/or service is believed to be misrepresented. All advertisers and site users are reponsible for proofreading the information displayed on our site and ensuring that it is correct. If a mistake is made in an advertisement that Waterfront West staff members have manually input into our database, Waterfront West’s liability is limited to running the same advertisement with corrections for an additional month more than the agreed upon subsription length. If a mistake is made in an advertisement that has been added to our database by a property owner, real estate agent or Developer, Waterfront West accepts no liability for mistakes and/or errors made in the ad and will not refund or reimburse the aforementioned parties. Sellers who input their own advertisements may change information in their ad at any time during the contract period by logging on to our Web Site. Please note that similar to other advertising companies, amounts are non-refundable if your home or advertised property sells during the time that you've advertised or if you decide to take your home/advertised property off of the Waterfront West Web Site. Furthermore, if you have purchased a package which includes search engine marketing and/or “Showcase Property” advertising and your home sells and/or you opt to take your home off of Waterfront West’s Web Site before the contract advertising period has finished, Waterfront West will not refund any or part of the amounts paid. This also applies to our "Home Page Feature Property" weekly advertising service. Waterfront West reserves the right to change layout or information within this Web Site, as well as this disclaimer at any time without notice. Please check this page regularly for updates.